Hand stitching lettering patterns can be a torturous and time-consuming routine. To add to that, you may be too occupied to manually stitch. Why will you even put yourself through such a difficult task when there are monogramming machines? A perfect alternative to fill the gap. You won’t be doing anything other than setting the fabric in the desired position and choosing the perfect design. Considering ease of use and convenience, here are my 5 best monogramming machines and my take on them. Singer brand is known for its track record of quality and performance. 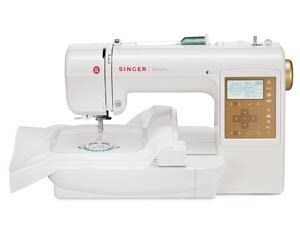 This record of quality is also evident in the Singer S10, prepare to use this durable machine for a very long time. You will only need to update the designs not replace the machine. There are two options with the monogramming area, you either go with the 5” by 5.5” area or the 2” by 2” area. There are 55 built-in designs to choose from, there is three font that can be used straight out of the box; Gothic, Cheltenham, and Scripts. 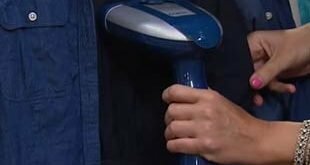 Get used to this monogramming machine and you’ll never want to use another. There are also 18 different borders that provide the clean finishing your design deserves. With the ability to acquire many other designs via the internet, you are always ahead. The only drawback is the noise produced by the powerful motor. Unlike other monogramming machines, you can trace out your designs before the actual work. Singer S10 Studio allows you to bring the best out of every task. More of a dual-purpose machine. Even though originally a monogramming machine, it ability to sew perfect stitches has made it a darling of many users. You will be killing two birds with one stone with Brother SE400. There’s too much to love in this monogramming machine; the 4” by 4” table is large enough for monogramming projects. You will rarely not find what you need from any of the 70 built-in designs and 5 lettering fonts. All these are visible on the bright and legible LCD screen. Brother SE400 is made to handle all of your monogramming tasks. As it delivers every project uniquely and excellently. You should consider the size of the monogramming tasks you aim to do with this machine as it is limited to just 4 X 4” inches. Another limitation of Brother SE400 is the choosing of stitches as there are 6 pages to scroll through. Nevertheless, this machine will render excellent service whenever you need it. An excellent monogramming machine that will never hurt the pocket. The build of the machine does not correspond with the price. This durable machine carries on the flawless nature of the Brother brand. Crafted with a 4 by 4” design area with 5 fonts and around 70 built-in designs. There is also an LCD screen that is clear enough without eyeglasses even at old age. The USB port for the updating of the machine must also be mentioned. you are in the future with an ability for internet connectivity. This is a single purpose machine, just for the purpose of monogramming. 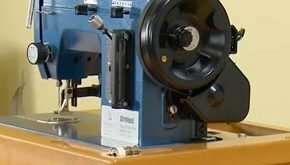 You will need a stabilizer to power this monogram machine. There’s no tutorial on the LCD to put you into the basics. All in all, there is a thin line between what you pay and the performance of PE525 – Wide range of designs, lettering fonts with a bright LCD screen all packed into a budget-friendly machine. It’s time to experiment with new designs and styles, there’s a lot of features to savor in just one monogramming machine. Brother DZ820E pushes you to become better with every project. Even though the price is on the high side, the features speak for the value. A straightforward machine easy to use by every category of user. Equipped with abundant resources such as 136 built-in stitches, 120 frame patterns and 6 lettering fonts that make monogramming fun. There’s even more, with 200 designs in the CD to give you varieties to choose from. If you take good care of this machine, it will last you for many years. In essence, you will always be in the future with the technology of this monogramming sewing machine. Looking from the downside, the automatic needle threader takes a bit of time to understand. The small viewing area of the LCD screen also makes editing designs tedious. In summary, the ease of use and convenience of this monogramming machine is second to none. Aside from being a good value for the money, it has won accolades for quality monogramming. Meant for everyone who yearns for perfection and prompt finishing of every task. This monogramming machine can also function for quilting and sewing. This one is versatile enough for you to start a home-based business from your garage. Obviously, this machine is an advanced and professional grade machine but can be used by anyone regardless of expertise. Packed with a variety of features that includes 125 different embroidery designs which can further be expanded through the USB port. Overall, Singer XL-550 has proved itself to be a market leader and users companion. The best place to start is to know what monogramming is; the art of embroidering alphabets, numbers and signs with threads on a fabric. Monogram is just to create marks in a decorative way. You can monogram on a towel, denim, jean or any fabric you want. Most embroidery machines are capable of monogramming. However, those with lettering fonts are best used for monogramming. Simply put, computerized sewing machines with LCD Screens that allows for editing of designs and fonts are monogramming machines. 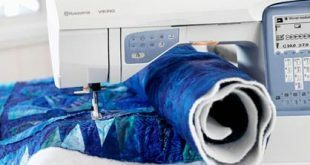 Next 5 Best Portable Sewing Machine 2018 – Strong Enough!